As far as I’m concerned, everything is better with chocolate. 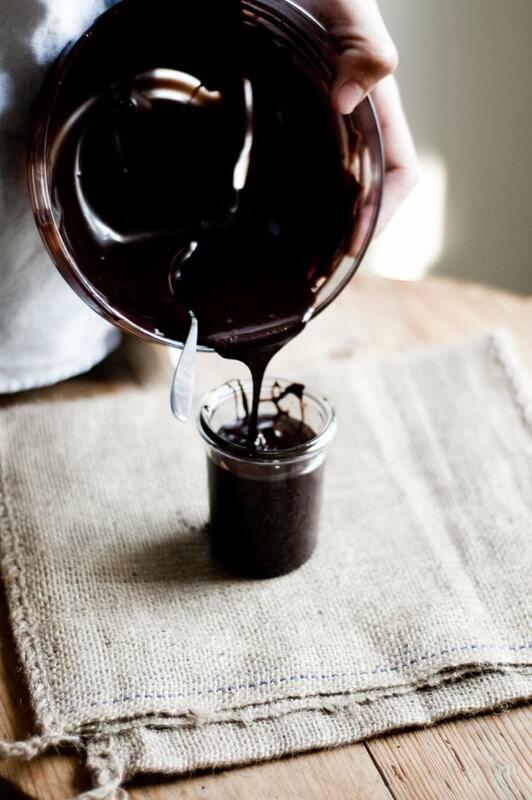 Now, much can’t be said about this chocolate sauce, other than- it’s really good! There is no grand story as to how this was created. 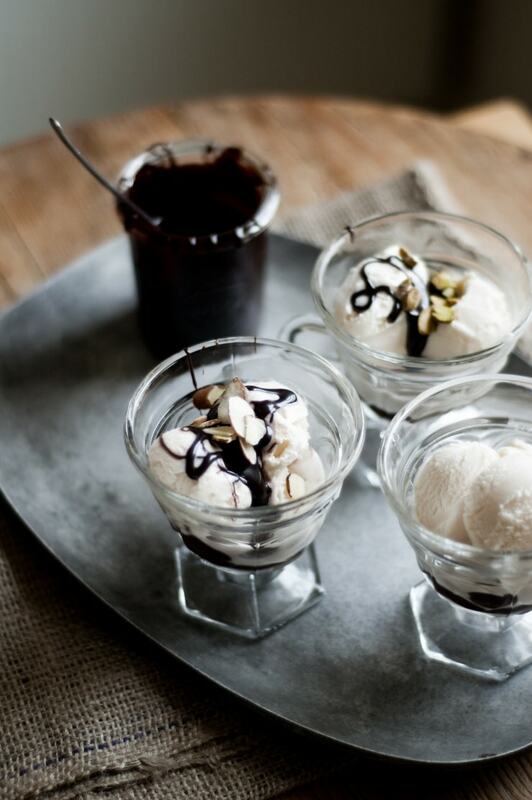 I had a craving for ice cream covered in chocolate sauce and a smattering of green pistachios, right after a baking failure, and so this chocolate fudge sauce was created. The past few weeks have been quite interesting with recipe testing for Hand Made. I’ve been trying to get all of the chocolate recipes done; the other day, I decided that I’d use the chocolate I melted for a group of photos, to make brownies. The ratio of eggs, chocolate, flour, sugar, and cocoa powder seemed perfect as I mixed the batter together. The batter tasted like heaven. 15-minutes into baking, I realized I forgot one of the most important ingredients in my batter– butter. I convinced myself that things would be fine, but after so many successful recipe tests, which all started off with me literally throwing things together, I knew something had to fail. After cooling the chocolate confection disaster, I sliced a corner off, and prayed that the promising dark chocolate crumb meant all would be fine. After literally .2936 seconds of having the small piece of brownie in my mouth, I felt my salivary glands and my taste buds wither into nothingness. I don’t know how, but I somehow managed to bake a brownie that tasted like the product of Chocolate and Chalk procreating. After my first and last (thankfully) brownie failure, I decided it would be appropriate to heal my taste buds with vanilla ice cream and chocolate sauce. 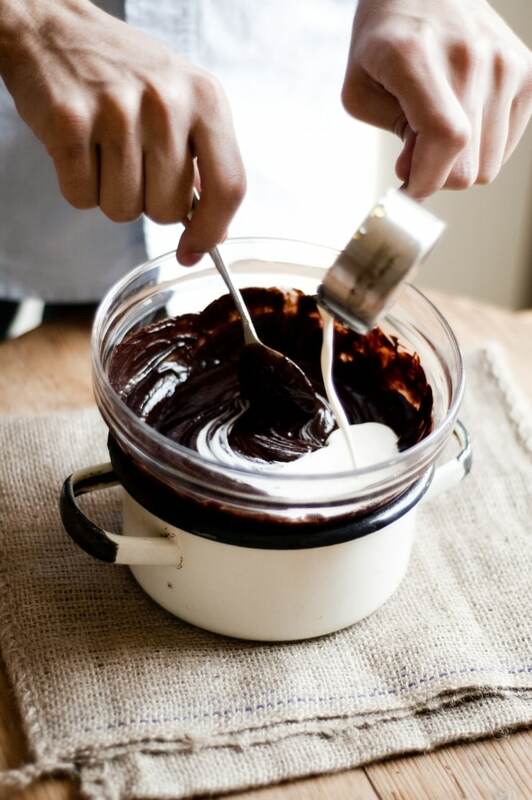 This chocolate sauce recipe is quite easy to remember, as it (conveniently) requires most of the ingredients to be ⅓ cup. It all starts with chopping 3.5 ounces (100g) of luscious dark chocolate and earthy-brown cocoa powder being mixed together in a heatproof bowl over simmering water. Once the pool of chocolate has melted, golden syrup is mixed in. After that, a slug of cream, an avalanche of snow-white confectioner’s sugar, a splash of vanilla, and a pinch of sea salt are mixed into the sweet chocolate puddle. 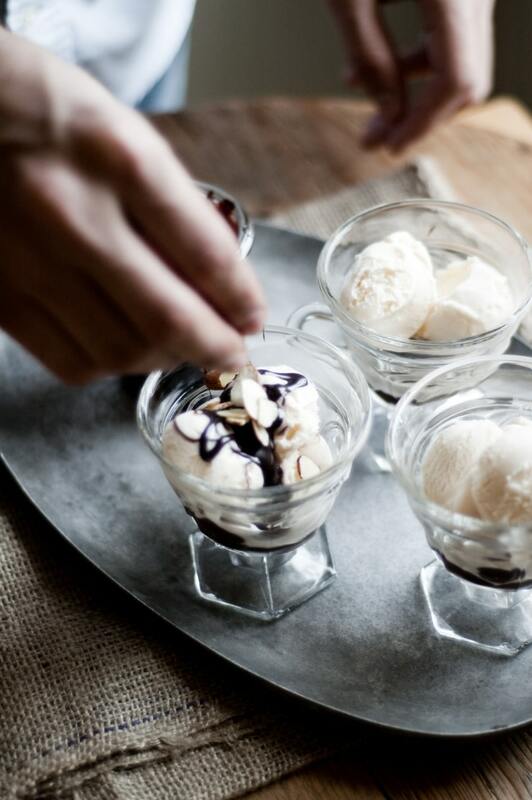 Once everything is mixed together, it’s poured onto waiting cups filled with scoops of hand made ice cream. Everything is then sprinkled with pistachios, sliced almonds, and chopped almonds. Now, I might have alarmed a few of you with the golden syrup. Golden syrup is one of those ingredients you have passed in the isle with maple syrup, honey, and pancake syrups, at your local grocery store / supermarket, without paying it any mind. Here in Middle-of-Nowhere, New Jersey, it’s nearly impossible for me to find certain ingredients, but Golden Syrup doesn’t fall under my list of hard-to-find ingredients. I can find it at all of our local supermarkets and grocery stores without a problem. This sweet, mellow amber elixir is basically cane sugar syrup, and it’s perfect on pancakes (I dare you to try it with your pancakes this weekend! 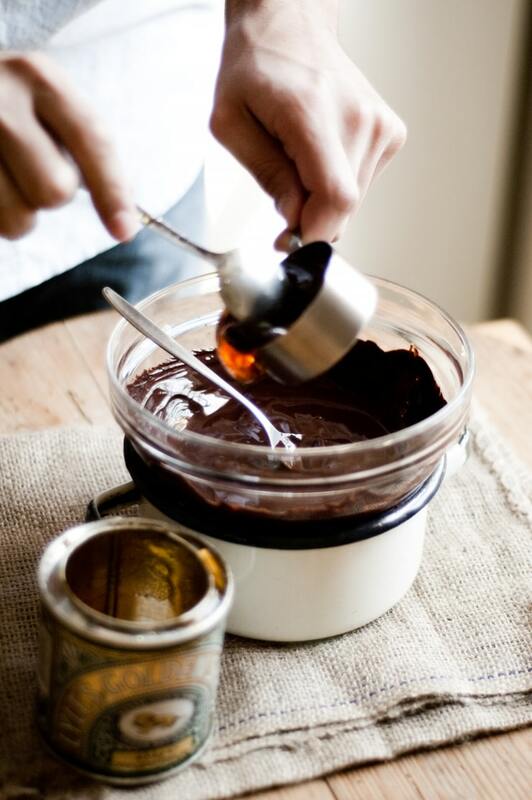 ), and in this instance- adds a lot of depth to this chocolate sauce. If you do have trouble finding golden syrup (I use Lyles), feel free to use light corn syrup or light agave nectar in place of it. As another side note: I’ll be in San Francisco next week; any recommendations for places to eat and visit? As stated in the post, Golden Syrup should be quite easy to find (it’s usually near the pancake syrups, honeys, etc. At the grocery store). If you can’t find it, light corn syrup or light agave nectar will work well, too. Although Dark Chocolate with 70% cocoa content may seem a little too dark for any milk chocolate lover’s liking, that is not the case–I find it works perfectly, especially since it is diluted a bit by the cream and the other ingredients. 70% cocoa content is ideal, but if you don’t have that on hand, use whatever you have– I wouldn’t go below 64% cocoa content, though. 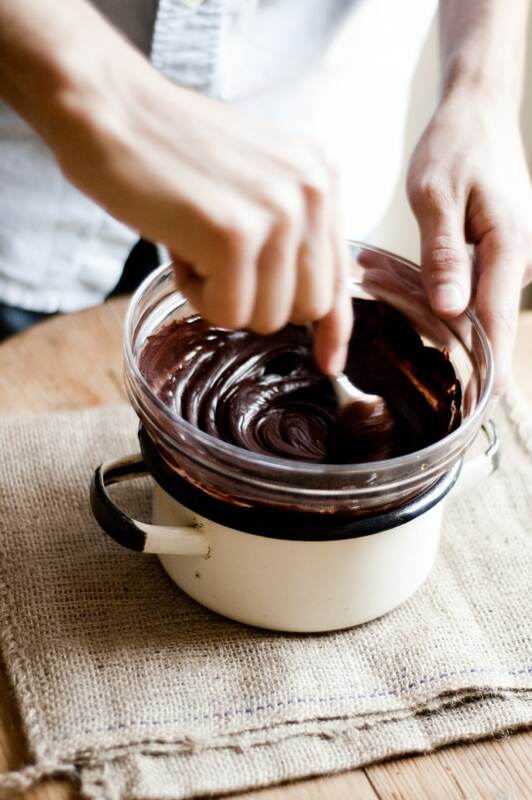 Place the chopped dark chocolate and cocoa powder in a heatproof bowl over simmering water (do not let the bowl touch the water) and heat until the chocolate has melted. With the pan off the heat, stir in the golden syrup, followed by the heavy cream, confectioner’s sugar, vanilla, and pinch of salt. 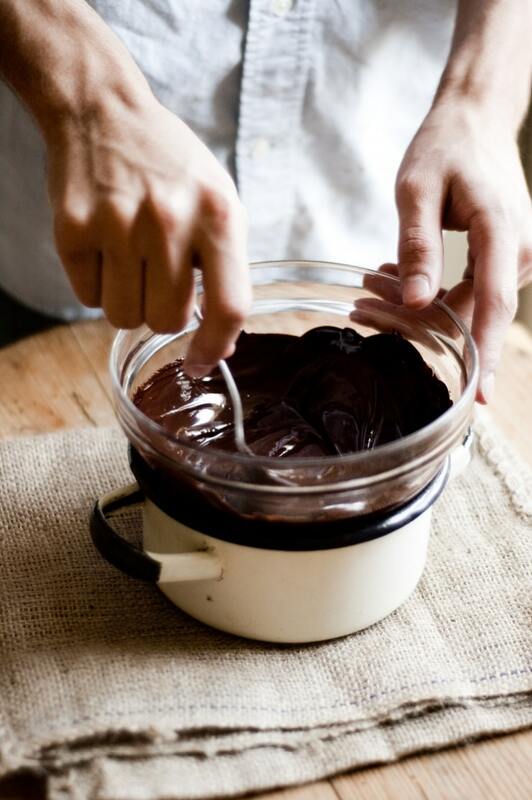 Transfer to a glass jar or heatproof container with a lid, and serve over the ice cream of your choice. Can be stored in the refrigerator for a few days (that is, if you’re not sharing!). Re-warm before serving. That does look absolutely divine. So rich and glossy! I’ve been waiting for these pictures since the day you posted them on Flickr. This sauce looks diiiiivine. Nice job, Kamran! 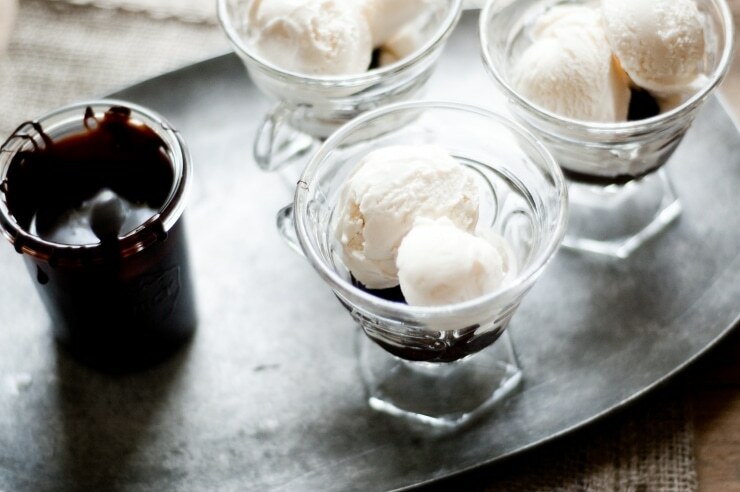 You can’t go wrong with chocolate fudge sauce… nope… I’m marking this one down for when we go to our favorite ice cream shopt this summer. Arizmendi Bakery, Humphry Slocombe, Marnee Thai, NOPA, Hog Island Oyster Co. I find brand of chocolate makes a big difference……which brand do you prefer? Lovely recipe. I subbed in agave for the golden syrup (didn’t want to run to the store)… the result is delicious to the taste! @Anne: I used Ghiradelli chocolate. I might have to make that one next time. the recipe i recently used from epicurious was just too sweet. as far as restaurant suggestions in San Fran, i can only give you a list of the places i’ve been dying to try the next time i’m there (i wish). probably already on your list: Chez Panisse, Zuni cafe, bi-rite creamery, and mission chinese food (a little farther off the beaten path). Have a wonderful time, it is truly a lovely city. also, if you have never been, visiting alcatraz is a blast. i went last year with a friend and it was a fun adventure, if a bit touristy. we also enjoyed just taking a walk in the late afternoon and stopping in Grace cathedral when it got a little rainy. 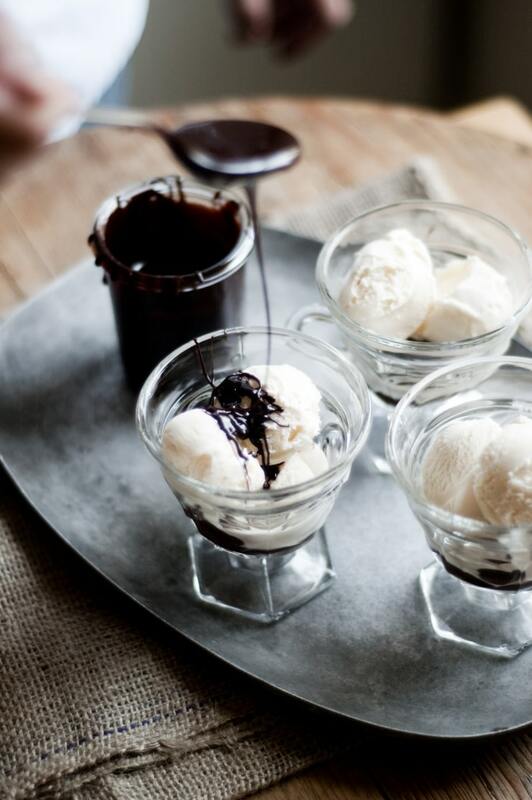 The only change I’d make is to pour double the amount of chocolate sauce over that ice cream. Beautiful , as usual, Kam! Kam – food failures are great. because, in essence, it really makes you realize how amazing that missing ingredient makes the dish. 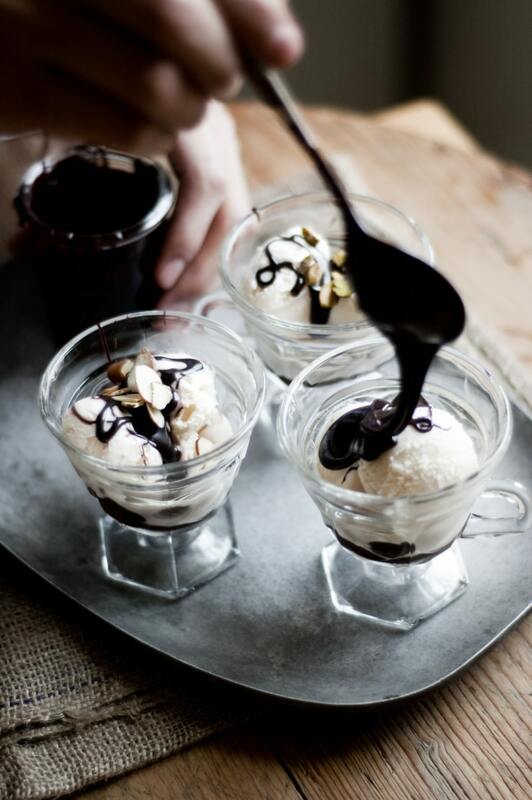 love the idea of the chocolate sauce. did i miss reading, or maybe not, but how long would you keep this in the fridge? Oh and SF: Slanted Door, Mission Street Food, Tartine (ohyoumust). Also, Coi. Very very good stuff. Incanto i’ve never been to but i hear revelatory things. 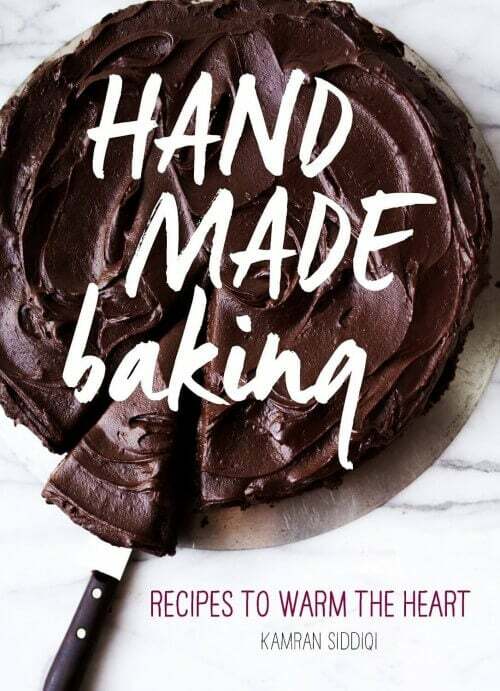 I couldn’t stop laughing yesterday when you told the whole story about your brownie disaster and chocolate and chalk making love and I still can’t stop laughing reading this :-) This chocolate fudge sauce looks sinful though! And OH MY GOSH, I want that tray! Its gorgeous!! Kamran, this fudge sauce looks fantastic! I’m especially enamored with those ice cream bowls, I’m always a sucker for something a little bit retro. As for SF, I have a few recommendations/highlights depending on what you’re looking for: Hong Kong Flower Lounge for fantastic dim sum (get the taro cake and chicken wings); Outerlands for beautiful food by the beach (also check out Trouble Coffee Company and the General Store next door if there’s a wait at Outerlands (there almost always is, but it’s absolutely worth it); NOPA is overall just fantastic and has exceptional service, also if you are traveling with anyone 21+ they have unbeatable cocktails and a great wine list; Cha-Ya for unpretentious vegan japanese food (way better than it sounds – I’d recommend their tempura and the dengaku especially); The Ice Cream Bar for old-fashioned sodas and ice cream sundaes (think soda jerk); La Palma for great burritos/quesadillas and any sort of Mexican sodas (Mexican coke! )/treats (its a small grocery/taqueria); Bi-Rite Market for edible souvenirs; and finally I’ll second/third the recommendations to check out Tartine, Bi-Rite Creamery, and Mission Chinese (though those all will have a wait). Hope you have a great trip here! I’m drooling over my keyboard. Of course I had to spot this at the exact moment I’m having my daily sugar craving. You make it look so easy! Oh also, Arizmendi has fantastic pastries and bread, and I’d wager a trip to SF is not complete without a visit to the Saturday Ferry Plaza Farmers’ Market (though it is a bit touristy, hey, you’re a tourist), the combination of food stalls, permanent food shops (hello Cowgirl Creamery, Miette, Ciao Bella, Out the Door, Blue Bottle, etc) and friendly farmers selling exceptional produce is hard to beat. I’ve just scrolled back up to the top a couple of times to review those decadent photos. Simply marvelous. Ferry Plaza Farmer’s Market. Buy some bread at Acme and some cheese (Mt. Tam is a favorite) at Cowgirl Creamery and get a coffee at Blue Bottle. The market is amazing. Speaking of chocolate sauce, you can visit Ghiradelli. Touristy, but that’s okay. 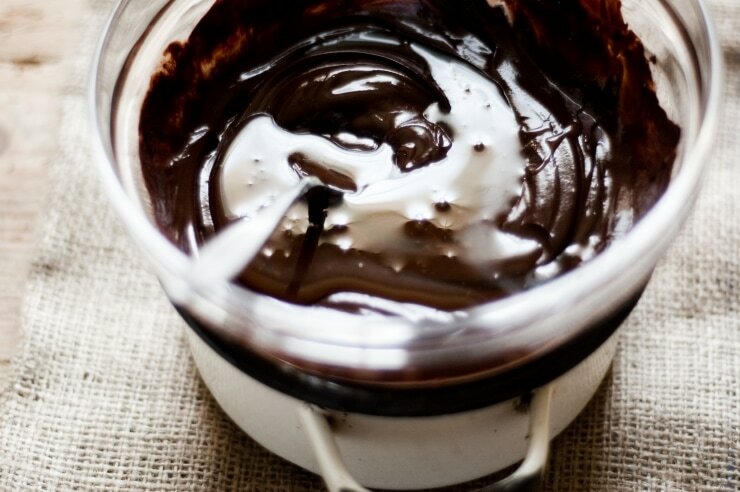 How you make something as simple as a chocolate sauce look like a work of art is amazing. 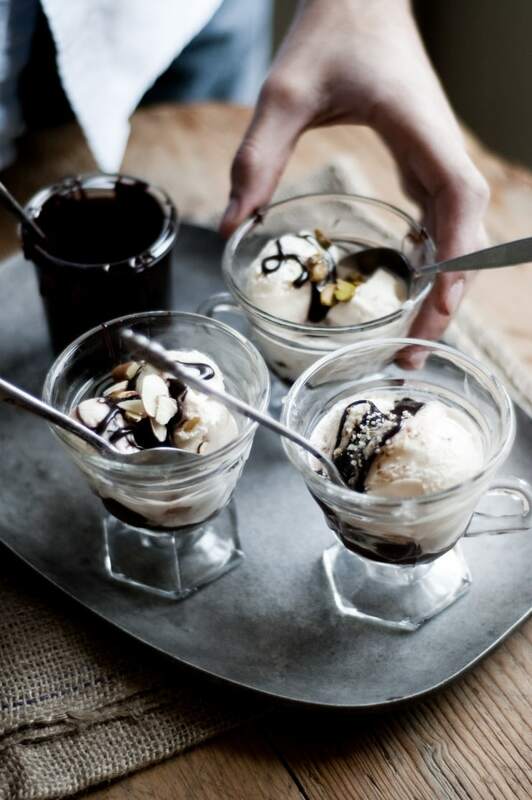 I’m having a huge craving for an ice cream sundae with pools of chocoalte sauce right now. Your recipes look so great! I can totally relate to making mistakes in the kitchen, I love it because it always gives you inspiration to make something new! Your photos really inspire me, I love how you are able to capture the action in your photos, I have so much trouble doing that! Keep up the awesome work! Gosh, does this look heavenly! 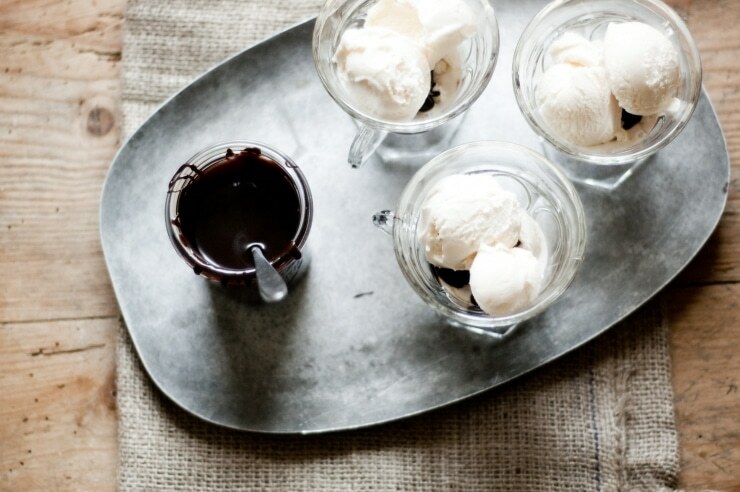 I’m totally craving hot fudge & vanilla ice cream now [: I love that try in your pictures too, it all looks amazing! ah baking disasters are real thing. And some how when a chocolate goes waste during baking my heart breaks :-) But this chocolate fudge sure makes up for everything. Kam, There is nothing like a really good fudge recipe. After I made this, I could not control myself from taking a little spoonful of the fudge I had made from the fridge on the go. Thanks! Gorgeous pictures as always. You have such nice hands, so photogenic. Beautiful photos as always! =) Well done, sir. I’ve just started following your blog. I found it through another, and I hit the subscribe button as soon as I saw this recipe. Your photography is amazing and this sauce looks like it could solve problems. Can’t wait to try it! One thing, I’m in New Zealand and we don’t have any of those chocolate brands here. What percentage of cocoa would you suggest? silky! love it! 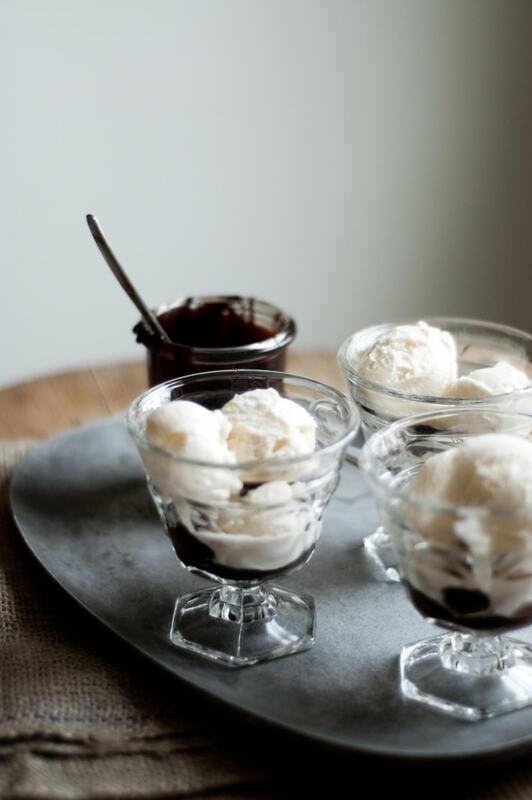 i’m craving for a cup now…my husband is sitting beside me with a cup of ice cream and i am sooooo tempted to make this at 10:45 pm, Toronto time! Chocolate is good any time of the day! Pics are very well done. lovely lovely. I always adore your color temperature and light, such a treat. hope you’re well, friend. To my horror, I saw my dad topping his ice cream last night with Smuckers and realized that i’d put off making this for far too long. Took a special trip to the store (appears we use up chocolate in this household at an alarmingly unhealthy rate) but the outcome was rich, smooth, and a perfect balance of flavors. so thank you for the recipe. hope your trip to san fran was awesome. Nice photos. Killer recipe to try, thanks. Somehow I just managed to discover your site. The photos are ridiculously gorgeous, and if I were there I would steal that tray of ice cream and hot fudge sauce and make a run for it. Have you ever added any cinnamon or cayenne to this? For a chocolate addict, this is heaven. This is so great! I seriously believe I could kill for a good chocolate sauce instead of all the rubbish we found at the super market ! Yours definitely looks tempting! Kamran what camera & lens do you use to shoot this beautiful pictures? 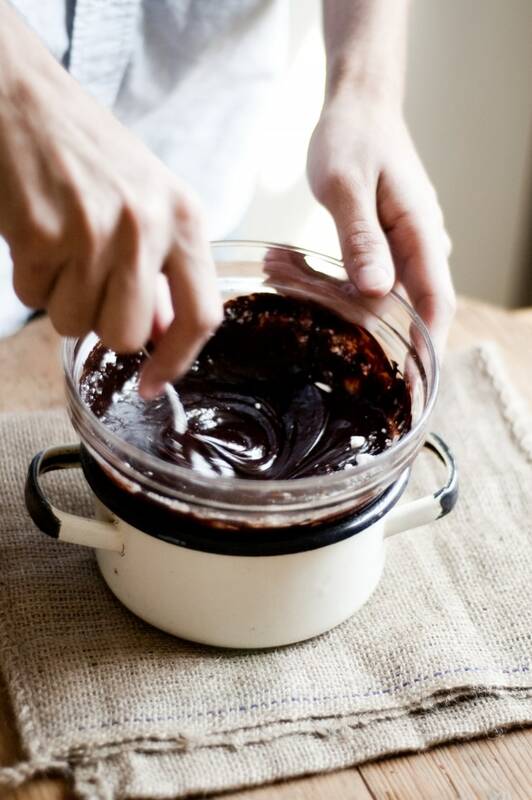 This really does look like the best fudge sauce ever! 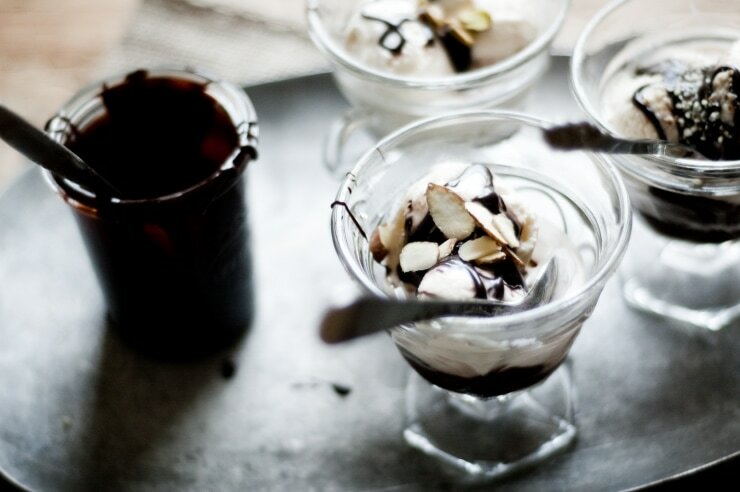 I love that you used dark chocolate — some chocolate sauces are too sweet for my liking, so this is perfect. Hello,i saw you on tv tonight, so i looked you up and so far i love all your recipes. Will try some soon!